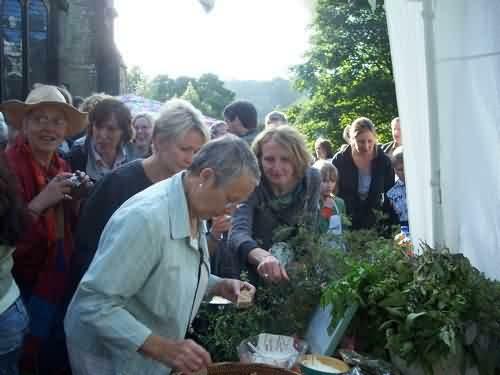 Over 400 people gathered at the Unitarian Church in Todmorden to celebrate the first Incredible Edible Todmorden Harvest Festival. 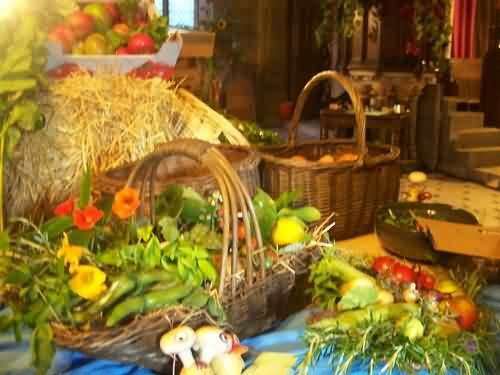 Local produce, from lemons to organic bread, local beer and wine to fish, herbs and vegetables filled the church. 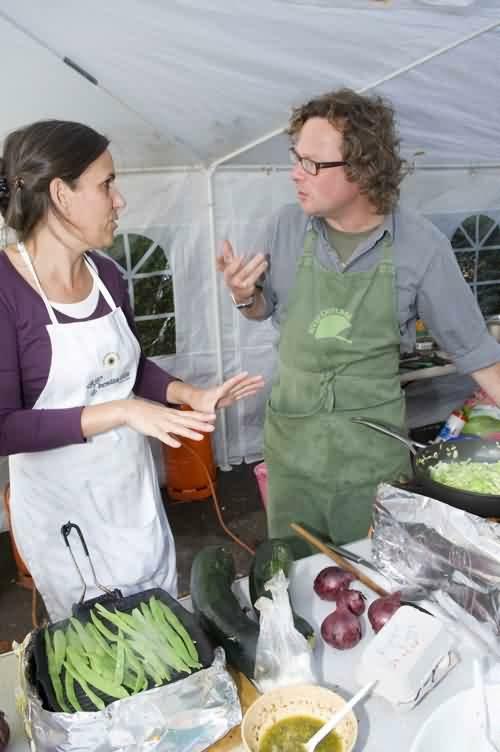 This later became the harvest feast cooked up by local chefs and aided by celebrity chef Hugh Fearnley Whittingstall. Todmorden in Bloom ensured the church looked at its best with all things edible including grapevines, hops and elderberries. 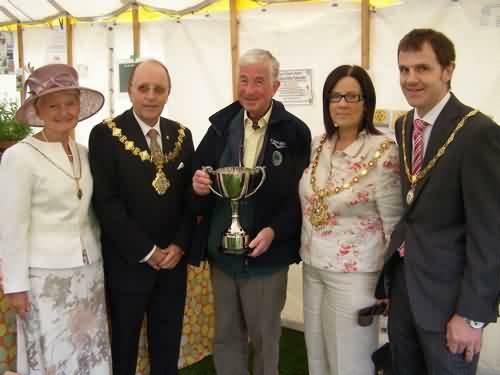 Malcom Saville donates the IET Growers cup at the 2008 Agricultural show,with a bevy of mayor type people!